Gerald “Jerry” Waters, 81, of Downingtown, passed away peacefully on Saturday, January 19, 2019 at Paoli Hospital with family by his side. He was the beloved husband of Pauline M. “Polly” McDowell Waters, with whom he shared 50 years of marriage. Born on August 19, 1937 in Kansas City, Missouri, Jerry was the son of the late Patrick and Dorothy Byrnes Waters. He attended Rockhurst Prep School and the University of Notre Dame. He received a Bachelor’s of Science degree from the University of Missouri. Before his retirement, Jerry was a Sr. Vice President of Marketing and Sales at CertainTeed Corporation for 33 years. 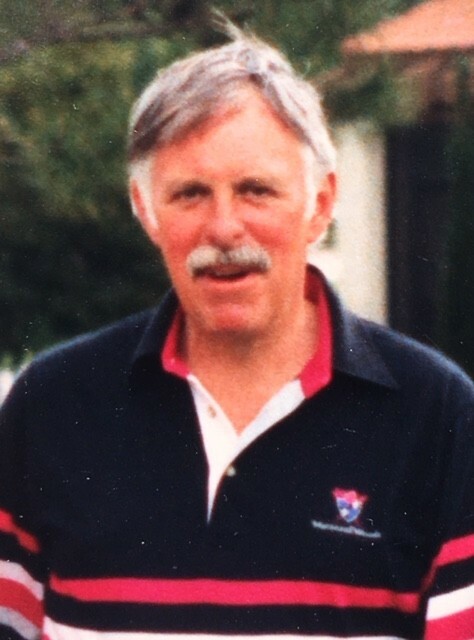 Jerry was a longtime and very fond member of Whitford Country Club where he served on many committees, the Board of Governors as well as President for a term. He had a passion for the game of golf and the friendships forged by it. He enjoyed watching the Phillies, Eagles, and Jack Daniels on the rocks. In addition to his wife, Mr. Waters is survived by his children, Pat Waters (Lisa) and Laurie Scigliano (Dave); and grandchildren, Callie, Samantha, Ryan, and Brayden. He was also predeceased by his sister, Patsy. The family will be receiving relatives and friends from 1:30 to 3 pm on Saturday February 16, 2019 at the Whitford Country Club 600 Whitford Hills Rd Exton where his Celebration of Life Service will begin at 3 pm. In lieu of flowers, please consider a memorial contribution to the Brandywine Valley SPCA, 1212 Phoenixville Pk., West Chester, PA 19380.